The College of William & Mary in Virginia offers two study abroad programs in China, one at Tsinghua University and the other at Peking University with courses in Chinese culture, language and humanities. 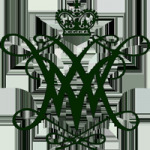 The College of William & Mary in Virginia (also known as The College, William & Mary, or W&M) is a public research university located in Williamsburg, Virginia. Privately founded in 1693 by letters patent issued by King William III and Queen Mary II, it is the second-oldest institution of higher education in the United States after Harvard University. W&M sponsors two study abroad programs, one at Tsinghua University and the other at Peking University. The Summer Study Program at Tsinghua offers students instruction in Chinese culture and intensive language classes, as well as an extensive study tour throughout China. The Semester Study Program offers instruction in the humanities as well as language courses.